Can't stop smiling at the 🐰🐰 faces in this Easter Basket Pie! Remove the pie from the fridge. 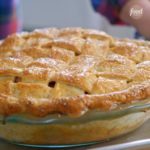 Use your ruler to measure 3½ inches up from the bottom of the pie plate and mark the edge of the pie. Dampen around the edges of the bottom half of the pie with water to ensure that the pastry will adhere. Gently transfer one braid to the pie to cover your mark. Add the other four braids one at a time, moving down the pie and slightly overlapping the rows, until all five braids are in place. 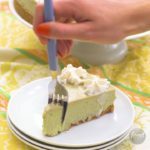 Use your knife to trim any excess braid to 1 inch beyond the edge of the pie. 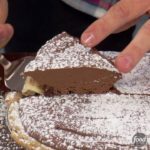 Tuck the excess pastry under the rim of the pie plate. Using leftover dough from your braid rollout, roll out four pieces of dough to approximately 12 inches in length and ½ inch in diameter. Twist two pieces of the dough together to make a rope. Repeat this process for the other two pieces of dough. Dampen the edge of the top half of the pie with water and attach one rope to each side of the pie. The ropes should meet at the top center of the pie. Curl the bottom of each rope decoratively around the basket edge. Roll out another ball of dough to a 14-by-10-inch rectangle. Cut five egg shapes with a 3-inch egg cutter. To color the dough, use either gel or liquid food coloring mixed with a small amount of water. Apply with a small paint brush (available in craft stores). Paint each egg a different color (pastel or jewel tones work best). 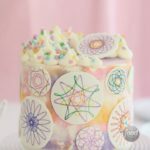 To add sparkle to your eggs, after painting and while the dough is still slightly damp, sprinkle each egg with a coordinating colored sanding sugar. Set aside to dry. Cut three bunny heads with a 3-inch bunny head cutter from the same batch of dough. Use a ¾-inch round cutter to cut six circles. Use a 1-inch diamond cutter to cut six diamonds. Use a ruler and sharp knife to cut one strip of pastry, 16 inches by ½ inch. Cut an inverted v-shape into both ends of the strip. Cut another strip of pastry, 1 inch by ½ inch. Dampen the back of the diamond shapes with water and place them in the center of the bunny ears. Dampen the circles and place two circles along the cheek line of each bunny's face. Dampen the space above the cheeks of each bunny and place the eyes and nose. Use your knife to score three lines on each cheek to create the whiskers. Lay the longer strip of pastry in front of you horizontally. Mark the center of the pastry with a knife. Fold the left side of the strip in and down over the center. Fold in the right side so it criss-crosses over the left side. Pinch the pastry at the spot where the two pieces overlap in the center. Dampen the small strip of pastry and lay it over the area that you have pinched. Press gently to adhere. Use ½-inch and 1-inch flower cookie cutters to cut flower shapes for the front and handle of the basket. Paint the flowers in colors of your choice. Dampen the backs of the flowers and gently adhere them to the basket handle and front. Dampen the back of the bow and gentle adhere it to the front of the basket. Pulse the flour, sugar and salt in a food processor fitted with a metal blade until combined, 2 to 3 times. Scatter the butter and shortening over the flour mixture. Pulse 4 to 5 times until the mixtures resembles small pebbles with a few larger pieces. 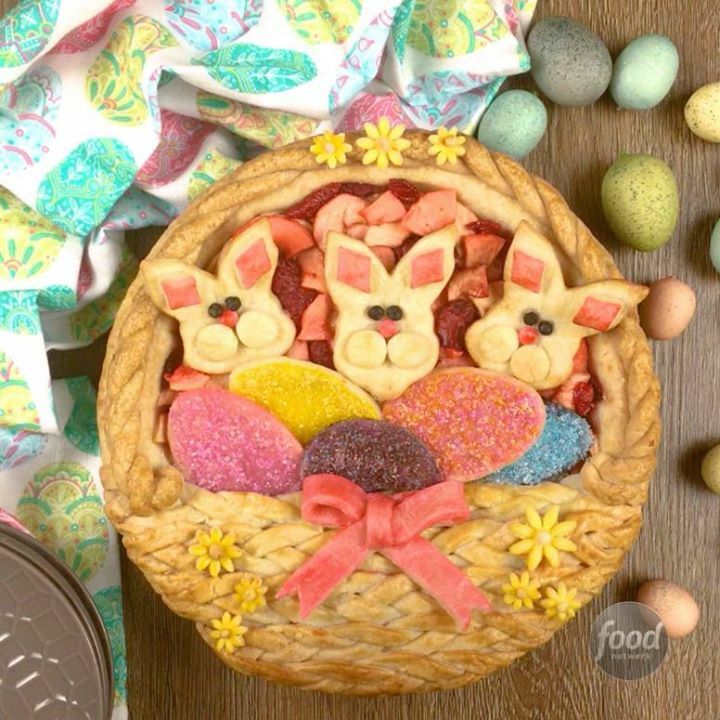 Can't stop smiling at the 🐰🐰 faces in this Easter Basket Pie!Beautiful job Batterednbaked!